This post is really a note to myself. I’m writing it to remind me that today, I ate what I would consider the best punnet of strawberries I have ever had. As I write this post, I am scoffing down the last remaining halves that are dotted around the bottom of my bowl; wondering if I will ever have such an experience again. Citrus and Berries are my two favorite fruit groups. As strawberries are now in season, it delights me to know that there will be a few more months of deliciousness heading my way. Why are these strawberries the best I’ve ever had? Well, firstly – they are super sweet. Granted – not each individual in this lot is – but they unto themselves are good. I won’t rant on about the differences – but I will list them here as part of my observations. – More sweet than tart. – A heady, musky aroma when uncut – and even strong when cut – that really does linger in your mouth after you have swallowed it. 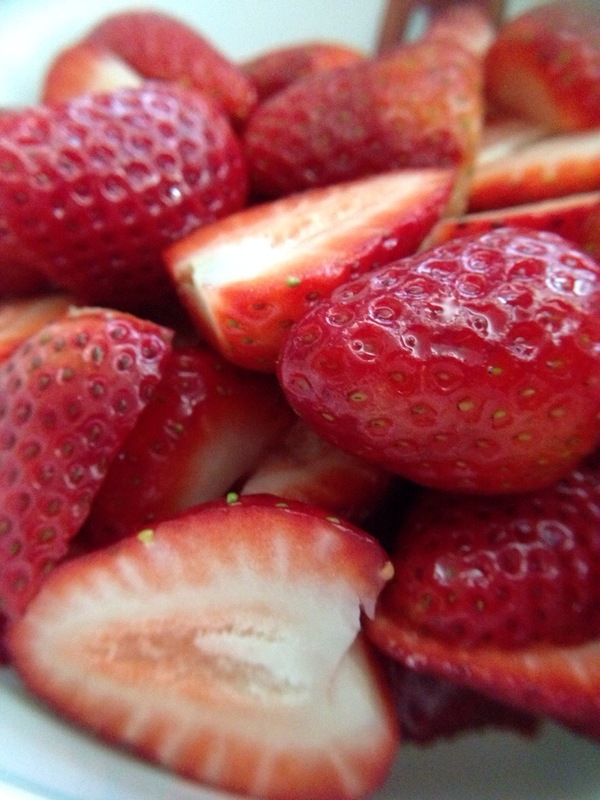 – Residue on your bowl (if you have cut them) radiate a pungent and fragrant strawberry smell. 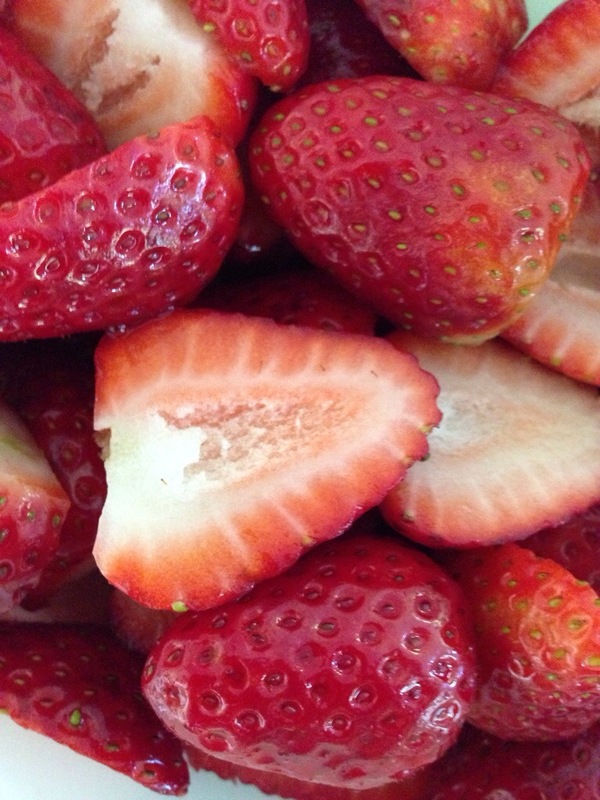 – All the good strawberries I have ever had were almost fully red – indicating to me that they are fully ripened. – Neither sweet nor sour. – A very humble smell. – Crunchy and tasteless and neither sweet not sour. – I find that lots of the time, the bad ones I have had had a substantial sized unripe area near the ‘cap’ – possibly a sign of artificial ripening? Anyway, for all of the stuff I wrote above – it’s just my speculation and observation. You are more than welcomed to tell me otherwise!